Today while leading a program at Bombay Hook National Wildlife Refuge, we watched a flock of Glossy Ibis feeding in the Shearness Pool impoundment. The school children loved seeing these “cool” birds up close. One of the quick photos I took showed how the ibis bill is used to grab its prey like a long pair of tweezers (or forceps if you prefer another medical instrument reference). A Glossy Ibis uses its long de-curved beak to grab a mud-covered Killifish at Bombay Hook National Wildlife Refuge. Image by Derek Stoner, May 31, 2011. Glossy Ibis are one of the more spectacular birds to visit Delaware, arriving in April and usually departing by September. The incredible iridescent feathers on the ibis’ body give it the “glossy” name, and its unique long and de-curved bill places it in the Ibis family. 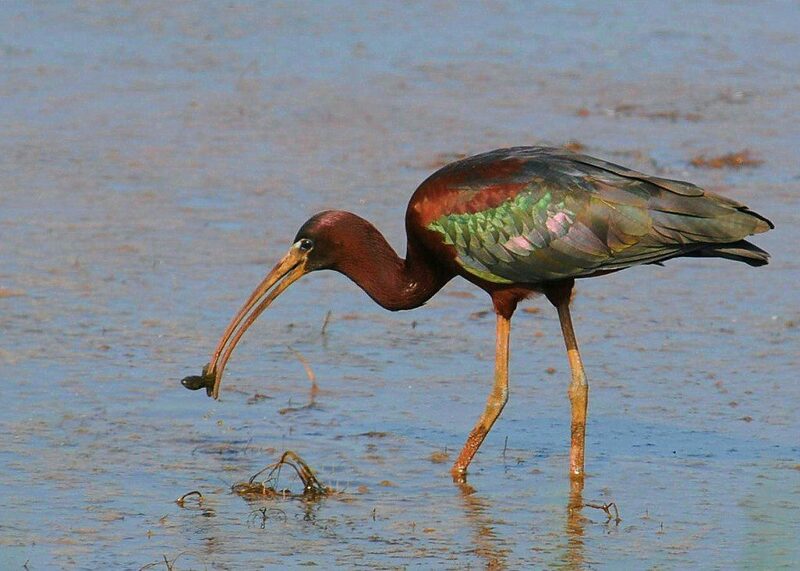 Glossy Ibis feed in flocks in wet fields, marshes, and other muddy environments, using their specialized bill to probe for snails, worms, shrimp, fish, and other small aquatic prey. Now is a great time to visit Bombay Hook to witness a variety of wetland-loving birds: shorebirds, herons and egrets, and even Bald Eagles. We saw eight eagles today, and over the weekend there were 23 eagles seen at once! 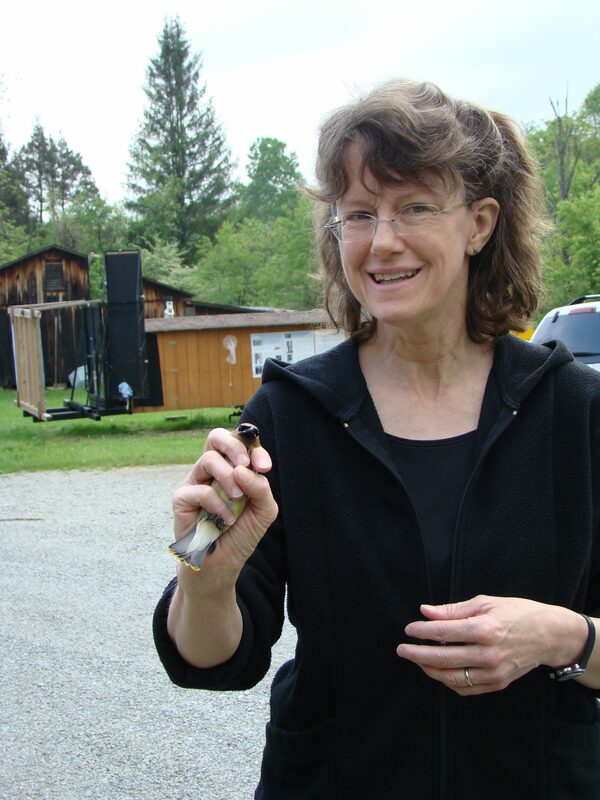 Last week, I had the pleasure of leading the Delaware Nature Society’s Fallingwater trip. Sheila Vincent, Group Programs Coordinator, was my co-leader, and we had nine wonderful participants with us. Fallingwater is a famous house in western PA designed by Frank Lloyd Wright. Why is a nature center focusing a trip on this house? Because it is the perfect fustion of nature, art, architecture, and beauty that can be found, in my opinion. 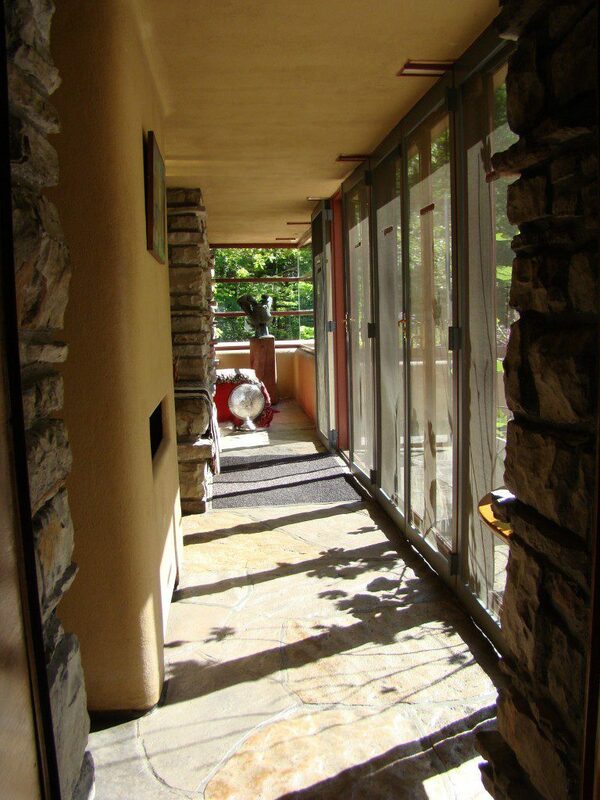 You leave wondering how you can incorporate just a little bit of Fallingwater into your house and life. At the very least, you plan to clean and de-clutter your place. 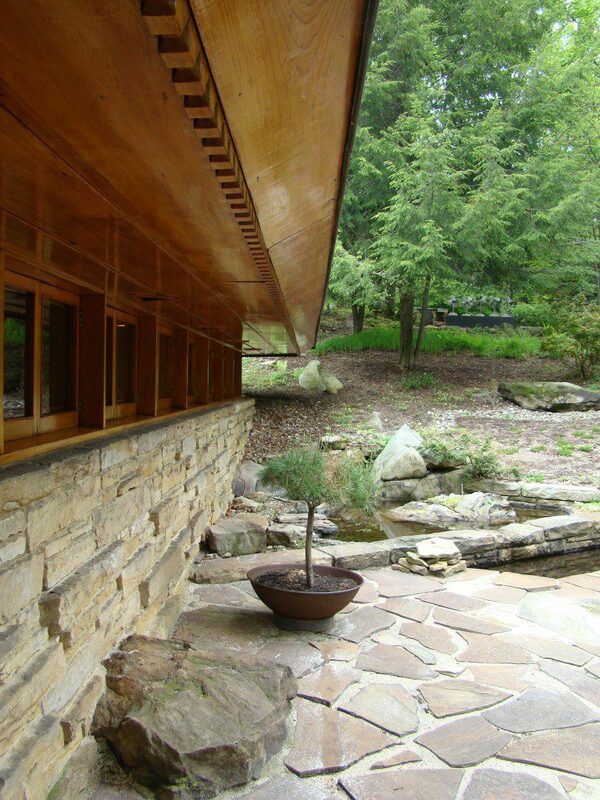 Inspiration is easy to come by in the Laurel Highlands, where Fallingwater is located. This corner of southwestern PA mountains is packed with recreational opportunities, scenic beauty, wildlife, and culture. To whet our whistle at the the trip’s start, we visit Fallingwaters little brother…Kentuck Knob, which was also designed by Frank Lloyd Wright. Stops at the Youghiegheny River Falls, Powdermill Nature Reserve, Spruce Flat Bog, and the perfect little town of Ligonier round out the trip. This year, we stayed at the Trillium Lodge and had it to ourselves. I think we found the perfect place for our group to stay on this trip. Join us the next time we offer this unique opportunity, and enjoy some highlights of the trip below. 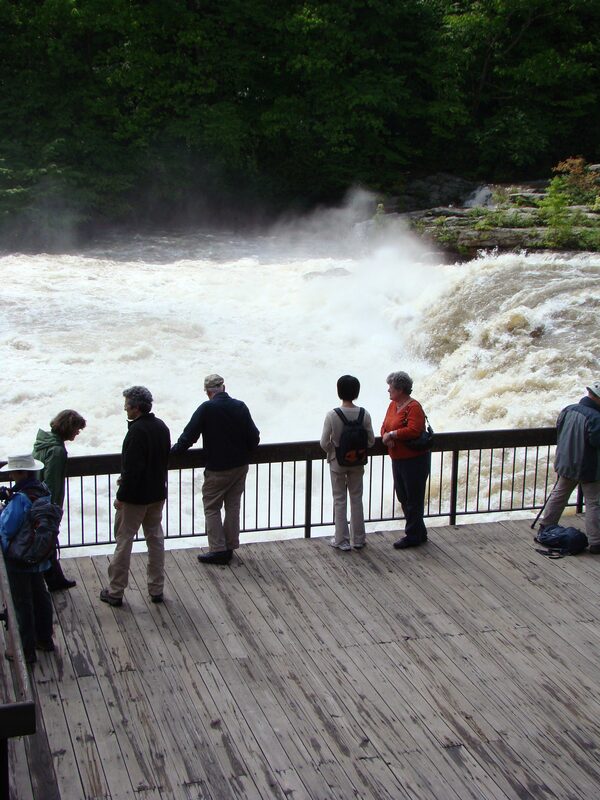 The Youghiogheny River falls in Ohiopyle State Park. Kentuck Knob, another Frank Lloyd Wright design, is a great way to start the trip to become familiar with Wright's incorporation of nature into design. 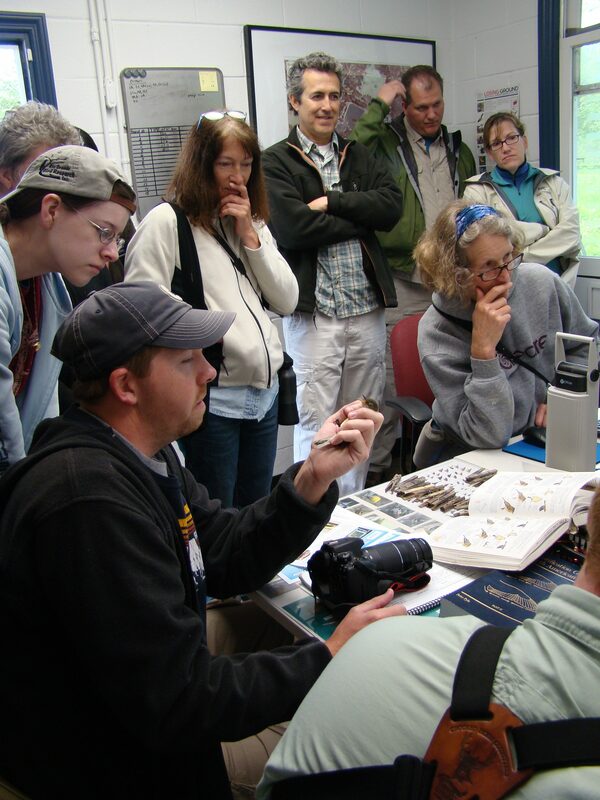 At the Powdermill Avian Research Center, we get an education about bird biology and get to see wild songbirds up close and in the hand. A Cedar Waxwing is ready for release after banding, weighing, measuring, aging, and checking fat levels. 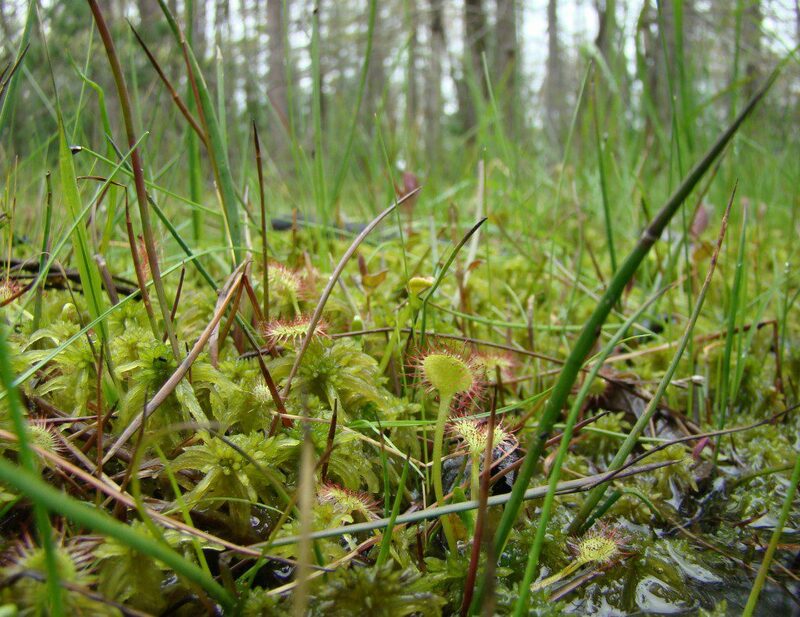 A bug-eye-view of round-leaved sundews and sphagnum moss in Spruce Flat Bog. Birds and wildflowers were bursting in this high elevation bog. Here is the view from where we stayed at Trillium Lodge. I will stay no where else with groups on this trip. Spectacular scenery, room for all, and isolation. 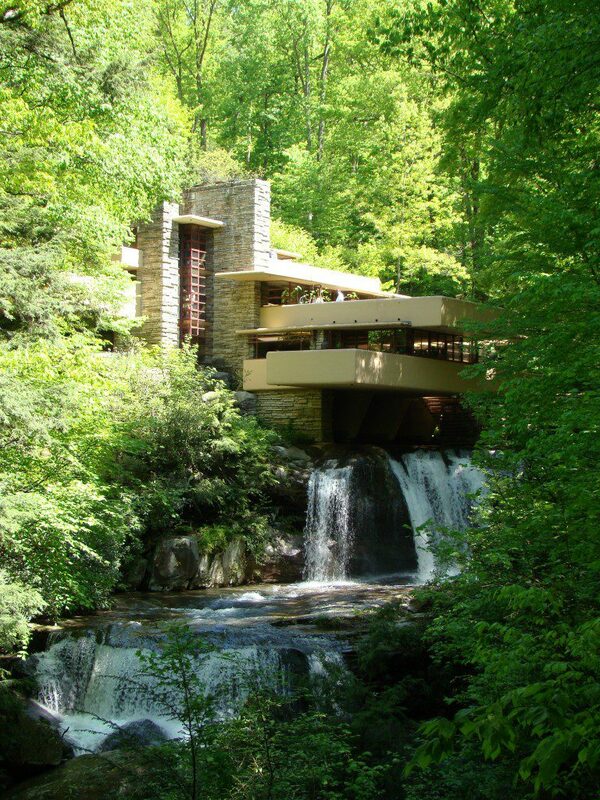 Finally...Fallingwater, the perfect fusion of nature, architecture, and art...a bit of heaven on earth. This bedroom is tiny, but the view is large. This is my favorite room in the house, where you feel like you are outside, looking out of your very own cave, with the sound of the waterfall all around. A juvenile Red-shouldered Hawk grasps a Garter Snake by the head as it launches into flight. Image by Derek Stoner, May 16, 2011. Being in the right place at the right time is often the “secret” behind an interesting photograph. Last Monday a classic right time-right place moment happened to me at Ashland Nature Center. A Red-shouldered Hawk (a juvenile that is being seen hanging out near the nature center and lodge) flew across the lodge driveway as I drove by, clutching a snake in its beak. As I grabbed the camera, the hawk flew back towards me. 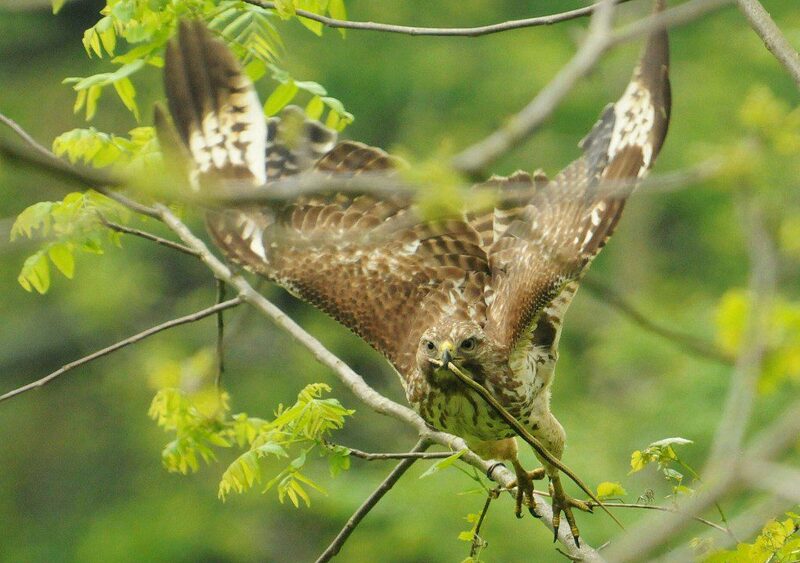 I snapped a photo out the window right as the hawk launched off the branch. The foot-long Garter Snake was devoured in two gulps when the hawk landed again. Just another snake snack for this hungry hawk that other observers have seen capturing the same prey item in the same location. Catching this behavior on camera is the hard part! 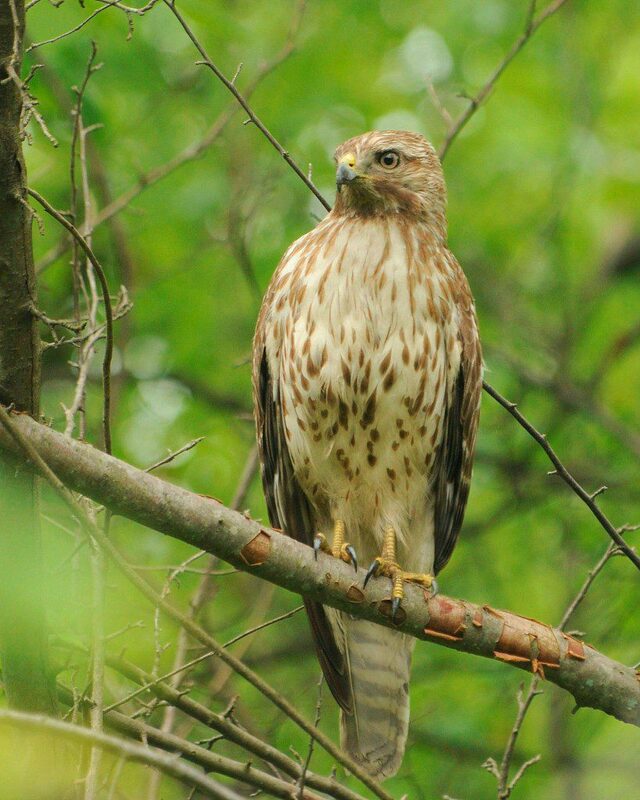 The juvenile Red-shouldered Hawk perches after devouring the Garter Snake. Image by Derek Stoner, May 16, 2011. A male Blackpoll Warbler perches in a Dawn Redwood at Middle Run, showing of his yellow feet and legs. Image by Derek Stoner May 19, 2011. 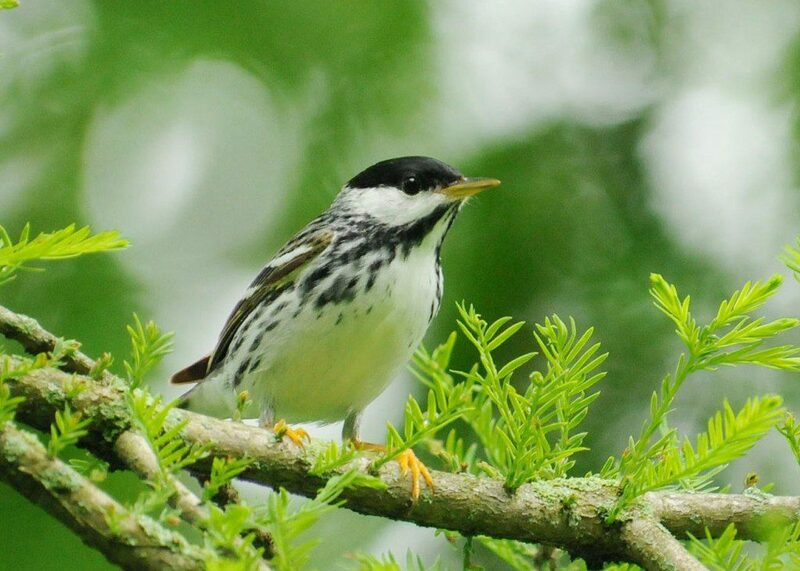 The Blackpoll Warbler is a small songbird that is named for its black cap (poll means “head”) . The song of the male Blackpoll Warbler is a series of several high-pitched notes that is reminiscent of a squeaky bicycle wheel. Since this warbler spends much of it time high in the canopy of evergreens (where it feeds on caterpillars), often its presence is revealed by hearing its song first. After breeding in the boreal forest of northern Canada, Blackpoll Warblers will then pass through the East Coast in early fall and load up on food in order to double their body weight. In one daunting flight, they take off over the Atlantic Ocean, head south over the Caribbean Sea, and land up to 90 hours and more than 1,000 miles later in northern South America!